Find competitive quotes on outdoor advertising in El Cajon! 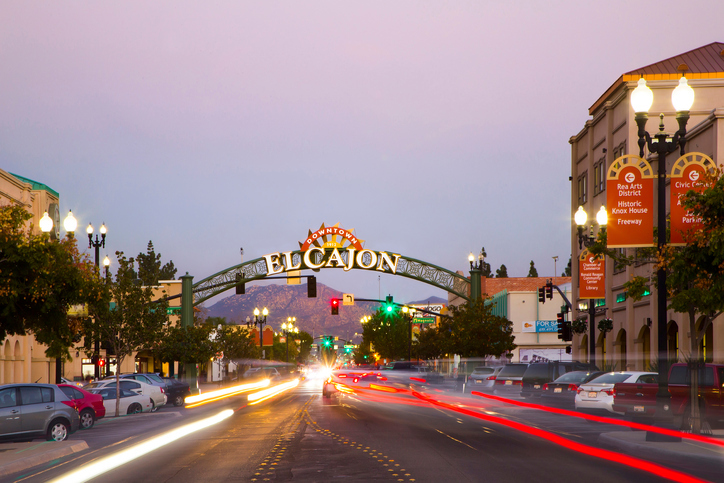 Located in San Diego County, El Cajon boasts numerous opportunities for outdoor advertising. With the top-tier Sycuan Casino and popular Parkway Plaza, your campaign is sure to boost business and create a measurable impression. Consider targeting popular spots including the Water Conservation Garden or the Boardwalk to see exposure skyrocket. Or, kick off your campaign with a billboard along I-8 to take advantage of heavy commuter traffic. Whether you’re new to the outdoor advertising space or are a seasoned veteran, BillboardsIn can help you create your dream campaign. Get started by selecting an ad format below to learn more. Or, begin the planning process by exploring BillboardsIn’s massive database of outdoor advertising options.